28th February in Hyderabad. 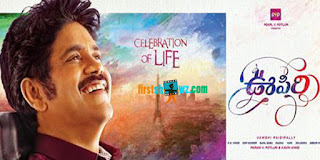 Meanwhile the audio tracklist of Oopiri has been out and Gopi Sundar composed the tunes. This Vamsi Paidipalli directorial is slated for March 25th release which is being produced on PVP Cinemas banner.